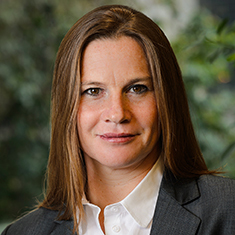 Polly Sprenger is a White Collar, Investigations and Compliance partner at Katten Muchin Rosenman UK LLP. Polly focuses her practice on corporate crime matters, including civil and criminal litigation, asset recovery, public advisory work, and internal investigations. She represents corporate and financial services clients conducting investigations into allegations of commercial misconduct, including fraud, corruption, money laundering and an expanding range of other criminal offenses. Working closely with Katten's global team of experienced investigative lawyers, Polly's practice is focused on providing civil and criminal remedies for multiple types of corporate misconduct, including defending government enforcement actions; bringing private prosecutions; production, disclosure and freezing orders; civil recovery and asset tracing; and evidential considerations of conducting internal investigations. Recent instructions include conducting cross-border investigations into suspected fraud, corruption, theft of commercial data, false accounting and tampering with safety equipment. Polly also provides counsel on criminal and civil breaches of the Data Protection Act, invasions of privacy, investigations misconduct and wrongful surveillance, experience garnered from roles as junior counsel in the high-profile prosecution of News of the World journalists and employees, and as technical advisor to a 2012 Parliamentary inquiry into private investigators and phone hacking. Polly also advises a growing number of corporate clients grappling with allegations of sexual offenses in the workplace. Her advisory work extends beyond legal remedies into managing reputational issues and crisis planning, preparedness and response. Polly has been recommended in The Legal 500 United Kingdom in civil fraud, corporate crime and white collar crime, and is lauded as being a "commercially minded expert in the field," who is "very good at understanding how the civil and criminal processes can work in tandem." She was noted for being "extremely committed with an impeccable eye for detail." Polly was recognized by Global Investigation Review in its directory of the top 100 women practicing globally in investigations. She has also been recognized by Who's Who Legal as an expert in investigations. Polly previously served as head of Strategic Intelligence at the UK Serious Fraud Office and worked for several years as a corporate investigator and investigative journalist. Shown below is a selection of Polly’s engagements.